Just the name Monte Carlo conjures visions of a glamorous bygone era. And in modern Monte Carlo, the tax-free principate surrounded by France and the Maritime Alps, that glamour is not lost. Along with European hideaways like Lake Como, Gstaad, and Ibiza, this cliffside Mediterranean port is a timeless playground for the see-and-be-seen crowd. But amid all the hubbub, it’s still possible to while away the afternoon over a café crème, amble along the harbor among the yachts, and experience the slow-paced, yet refined, Monégasque savoir vivre. Squeezed into just 200 hectares, this confetti principality might be the world’s second-smallest country (the Vatican is smaller), but what it lacks in size it makes up for in attitude. 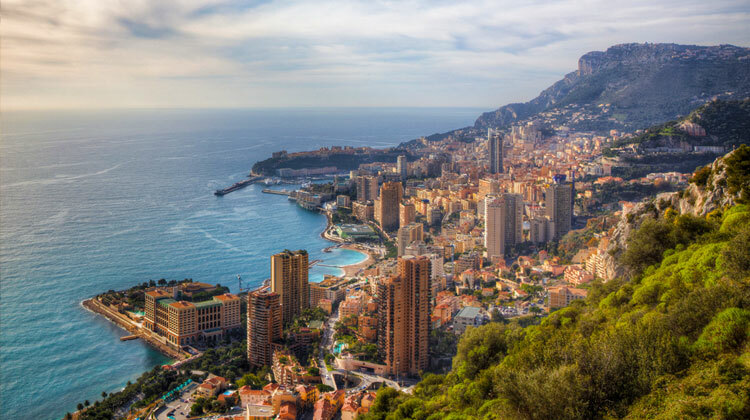 Glitzy, glam and screaming hedonism, Monaco is truly beguiling. Although a sovereign state, the principality's status is unusual. It is not a member of the European Union, yet it participates in the EU customs territory (meaning no border formalities crossing from France into Monaco) and uses the euro as its currency.